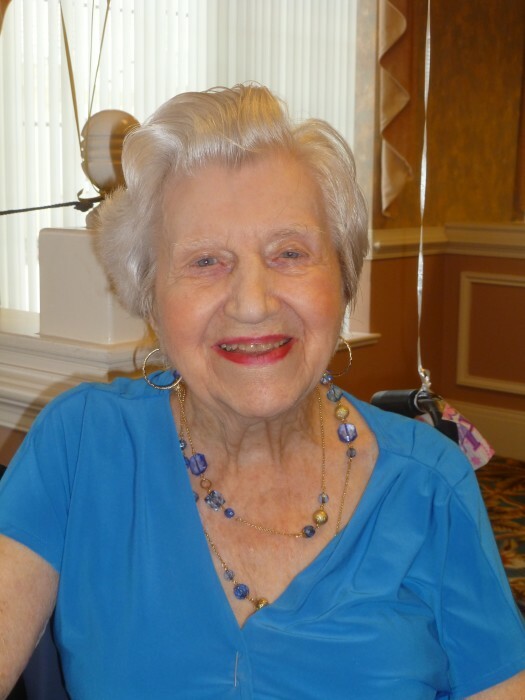 Mildred Tucker, age 105, of Port Saint Lucie, FL, formerly of Guttenberg, IA, died Friday, July 6, 2018. She was born on May 26, 1913, in Turkey River, IA, the daughter of C. Grant and Edith White. Mildred graduated from the Guttenberg High School in 1932 and furthered her education at Upper Iowa University. On June 26, 1937, Mildred was united in marriage with Archie Tucker at the Little Brown Church in Nashua, Iowa. This union bless the couple with two children, Robert and Ruth. Over the years, Mildred made a home for her family but also taught school. She was a member of the VFW Ladies Auxiliary, Rebecca’s Lodge and was a gifted pianist and organist. Mildred is survived by her children; Robert Tucker and Ruth Rentschler; 4 grandchildren, Kellie, Kirby, Allyssa and Scott; 3 great grandchildren. She was preceded in death by her parents, and husband back in 1993.